The Parent Portal, is a joint effort of the BMRSD Technology Department, the Blackstone-Millville Regional High School and the Frederick W. Hartnett Middle School. The student information system that we use, called X2, produced by the X2 Development Corporation, has many features that serve us well in attendance, scheduling, report cards, demographic data on students and staff, and many other aspects of our data collection. X2 is an on-line application that has the capability of allowing parents to log on using their own family account and seeing various modules within our X2 database that pertain to your child(ren). Our middle school and high school teachers have begun electronically storing all of their course grades in X2. Elementary teachers are not currently using this system. Forgot you password? 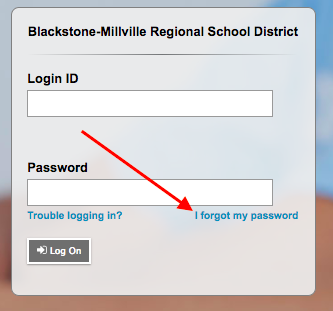 Students, Parents and Guardians can reset your password via the Forgot password Link on the login page. Note resets are sent to the students BMRSD email account. Parent resets are set to the email account used when your registered for access. For resolving issues logging into Parent / Student Portal X2, please fill out the form below.